A golden and soft palette plays on your wrist in the Lindsey bracelet. 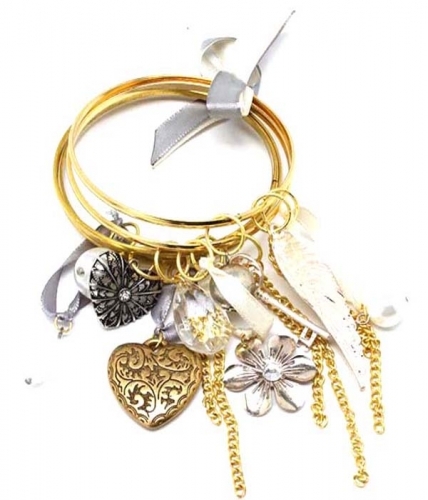 A collection of cast gold bangles tied together in dove grey ribbon that drips in a treasury of eclectic and pretty charms. A divine finish for you look. Buy from the hottest range of online bracelets for women right here at Oz Bling.